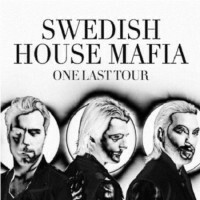 You are here: Home » Swedish House Mafia coming to Toronto! Swedish House Mafia coming to Toronto! The Swedish House Mafia, a Swedish electronic dance music group, is not for everyone, but they sure made a thumpin’ good song for Absolut Vodka that really rocks! Hailing from Stockholm and newly formed in 2008, this group plays primarily progressive house music for the club scene. Check out the song “Greyhound”, the Absolut Vodka commercial. ← These berries are not very blueberry… Swedish wild blueberries are actually bilberries!